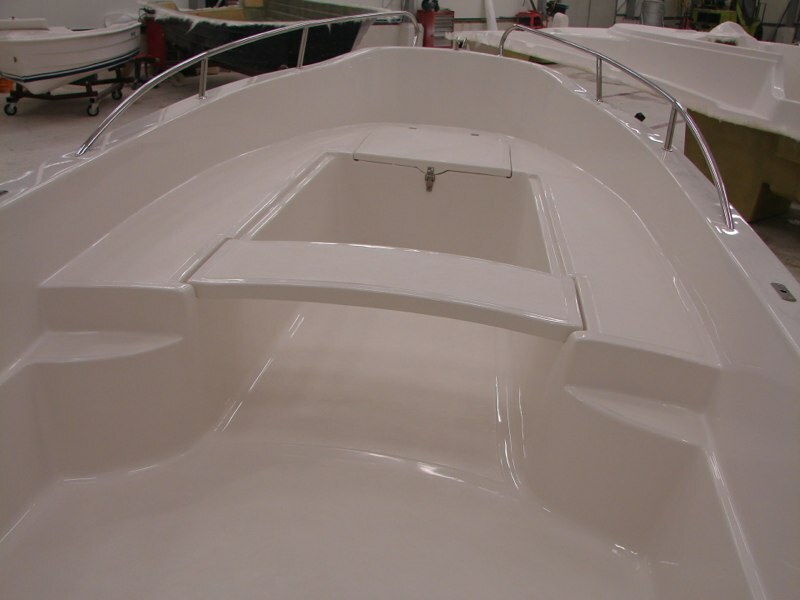 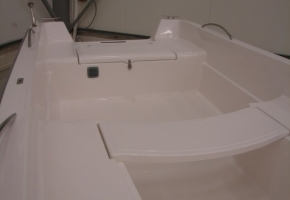 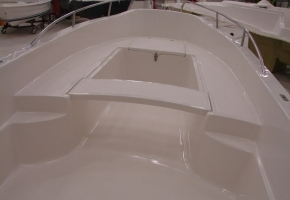 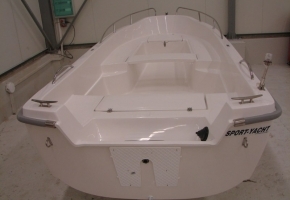 CLASSIC 470 is the smallest boat we manufacture. 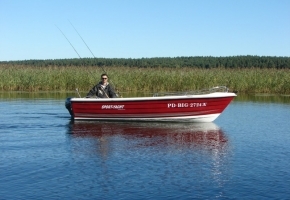 But despite its size, it is safe and stable. 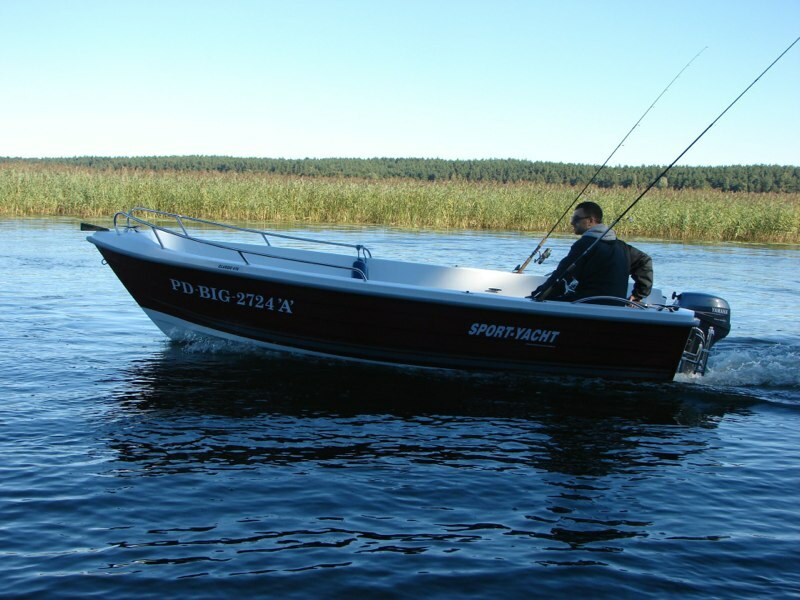 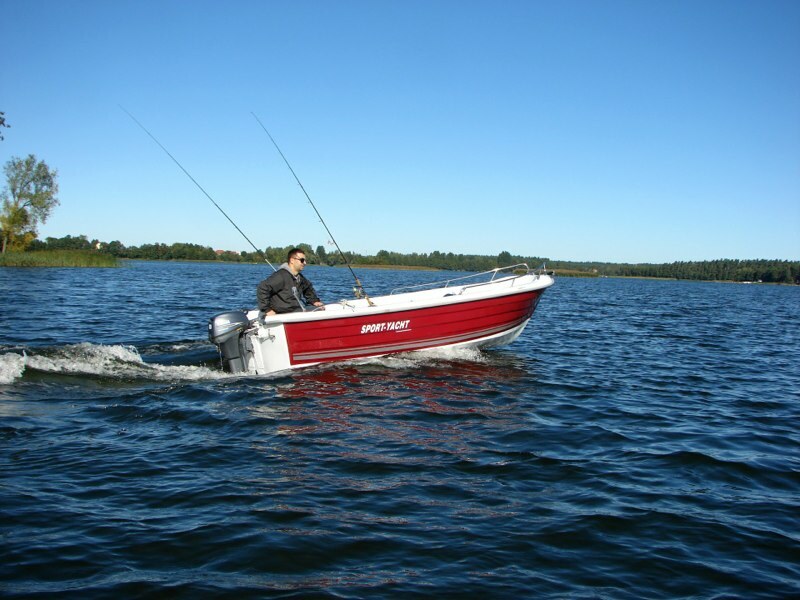 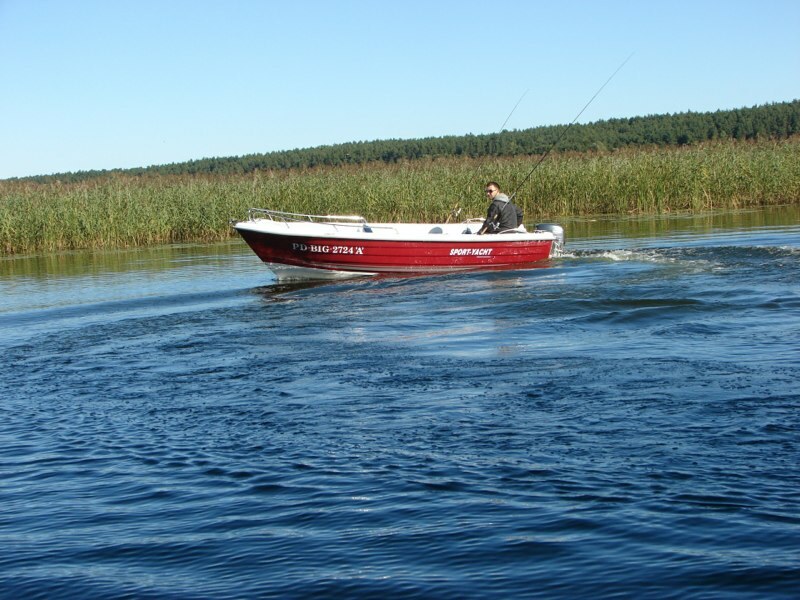 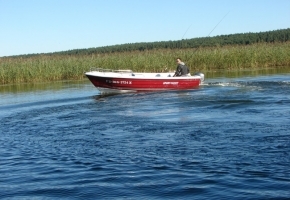 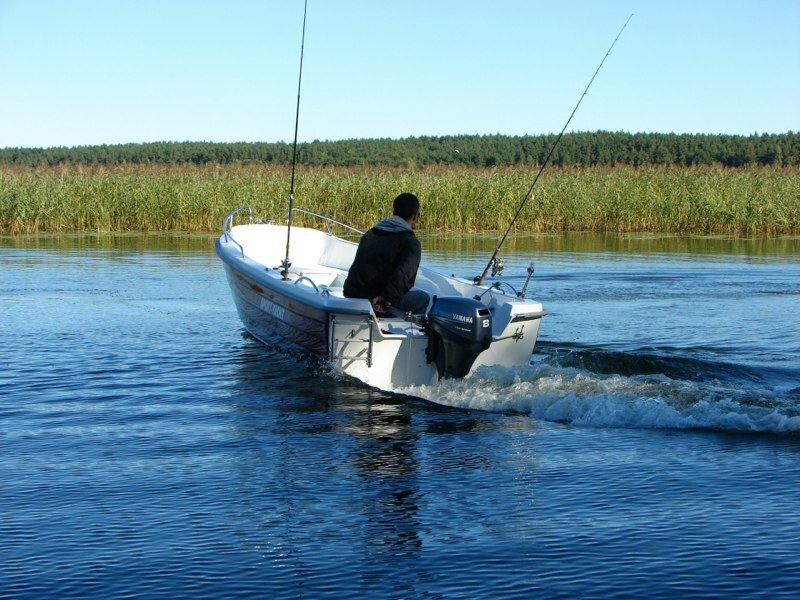 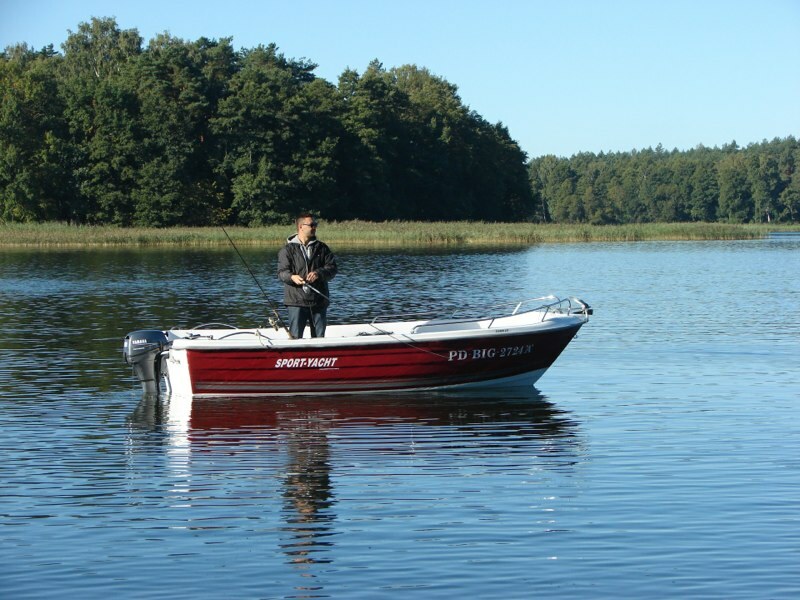 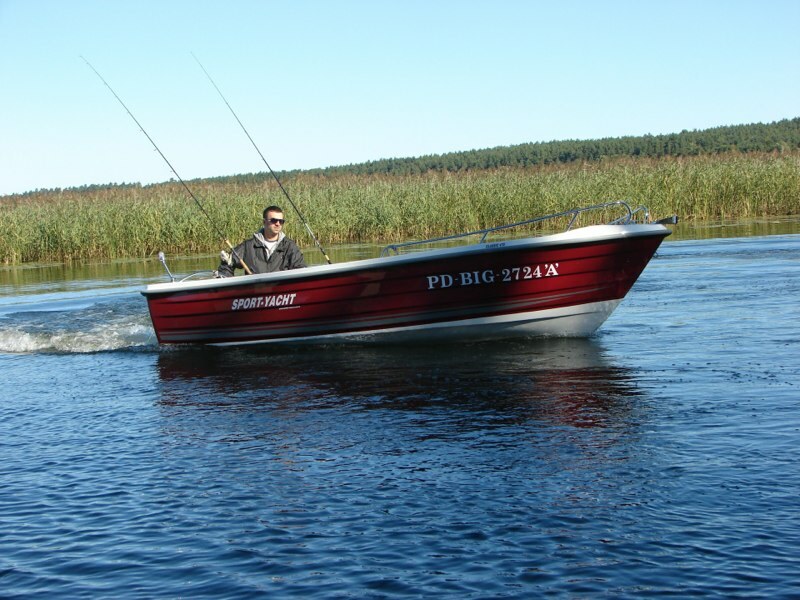 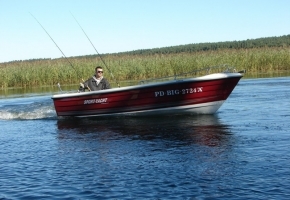 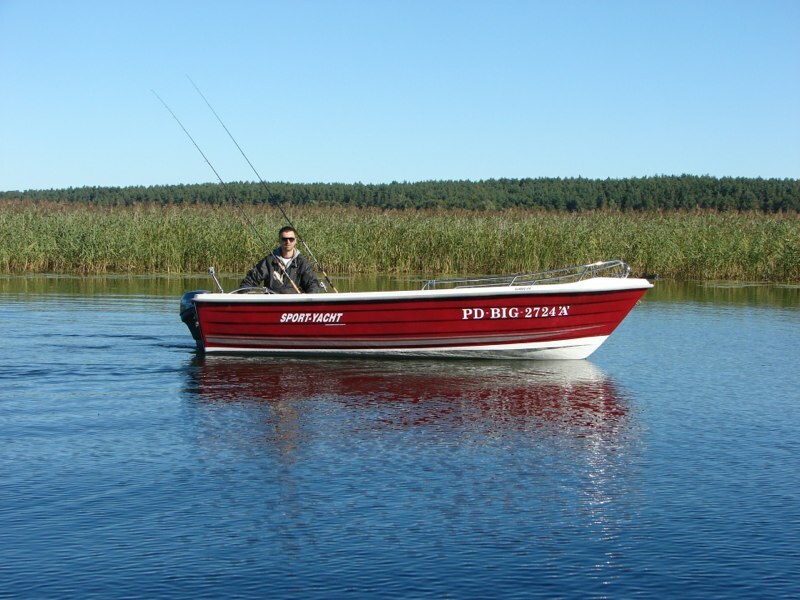 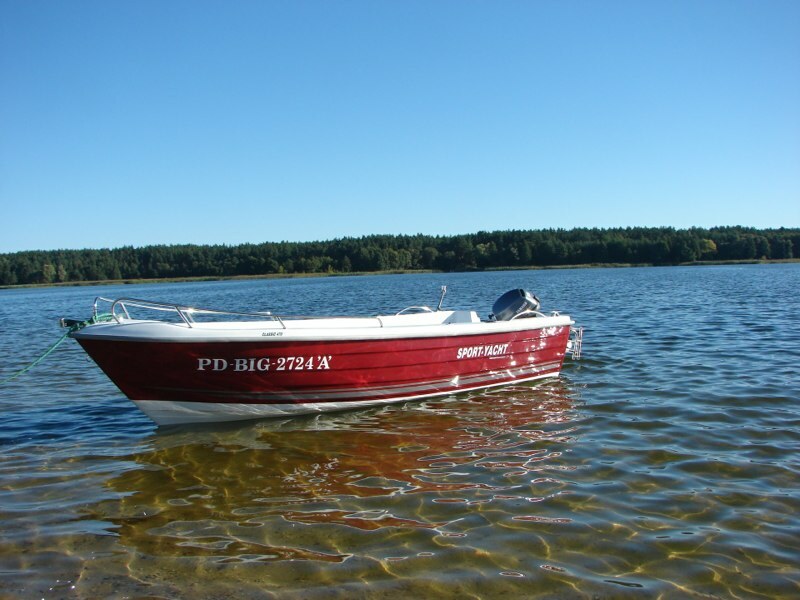 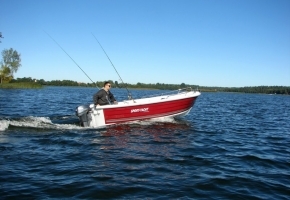 It’s an ideal boat for the lovers of fishing and for those who do water sports. 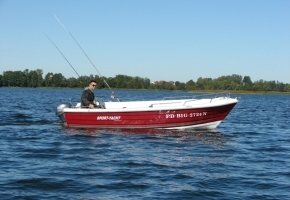 The boat has all the advantages of the smaller models. The height of the side is 70 cm. 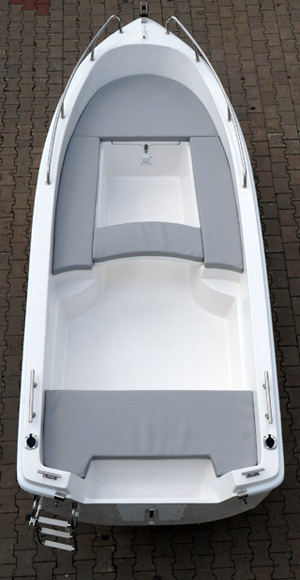 It can easily hold 5 persons. 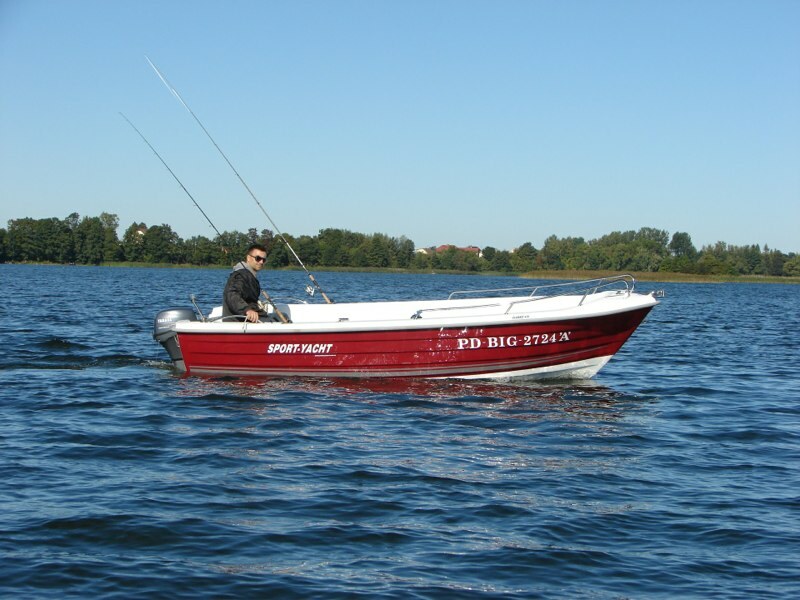 Both on the bow and on the stern, there are comfortable seats for fishermen, and two sizeable lockers will hold all the necessary stuff. 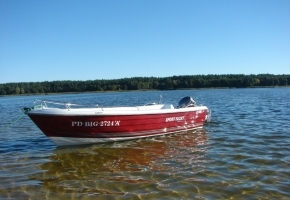 The boat has very good buoyancy. 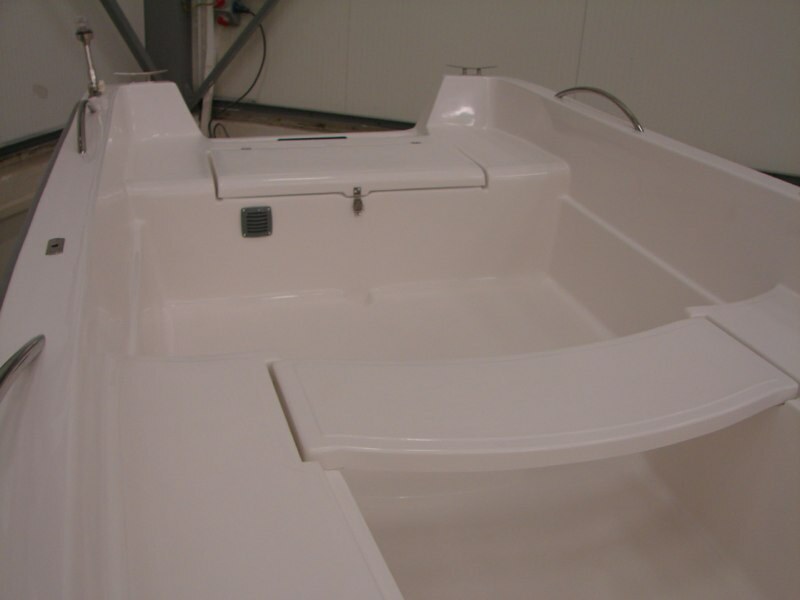 Combined with the spaciousness, flat and even deck and many cabinets, this boat is worth considering for cruises. 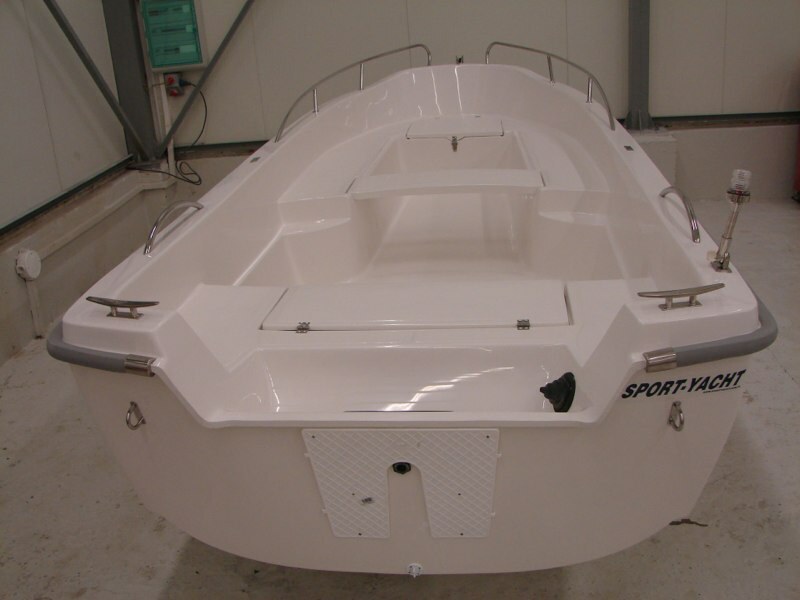 The size of the boat makes it possible to install a lot of additional accessories, and its structure allows for installing an engine up to 50 HP.